The YouTube comment threads take a lot of beating for the often juvenile exchanges. 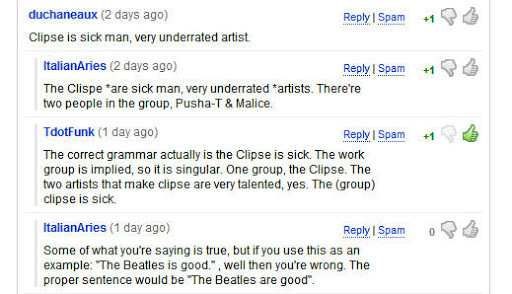 Well look at this – a grammar lesson on a Kanye West video. A tree grows in Brooklyn!